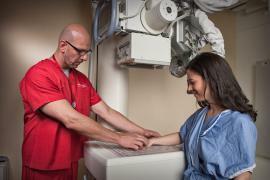 The expert radiologists in the NewYork-Presbyterian Hospital/Weill Cornell Medicine’s Department of Radiology provide our patients the highest quality diagnostic radiology services, interventional radiology services and image-guided therapies. We provide diagnostic imaging services to our patients using the most advanced imaging equipment in safe, comfortable, modern, and beautiful facilities. The NYPH-Weil Cornell Department of Radiology welcomes physician and patient inquiries, which should be directed to the specific imaging division or the department chair.